Use reference code: donnadarrah and go to www.start.avon.com to apply for $15 starter kit. Starter appointment kit will be mailed by AVON directly to you within 3-7 business days. Earn as much as you want or need. Be Your Own Boss. Work how you want and when you want. Become financially empowered today with no earnings limits! Internet store also provided by company with customer direct payments and delivery by company. FREE online training! Scholarship program available for representatives, children and grandchildren! Use reference code: donnadarrah at www.start.avon.com and apply today! I stumbled upon your websites. I am so impressed with your marketing! 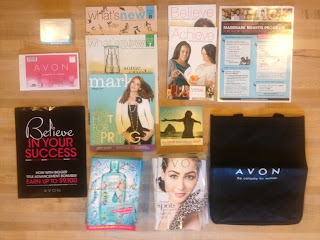 I am a teacher, and just started my Avon business. I am trying to figure out how to increase my online business. How many customers have you attracted through this website and your Secret Beauty websites?